An oral examination is a standardized procedure where the various aspects of oral health are analyzed to identify any developing risk of tooth decay or other dental concern. Depending upon the evaluation, a unique customized treatment plan is identified. The procedure usually involves tooth cleaning and identification of any gum inflammation or loss of bone. The oral examination may sometimes include diagnostic procedures such as X-rays. 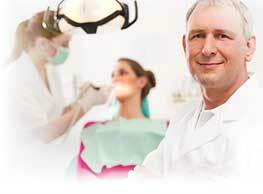 These vital information are of great help for the dental expert to take necessary precautions during the treatment. The investigation procedure involves various therapies, technologies and techniques to thoroughly examine the teeth and the surrounding structures of the patient. Every aspect of individual’s teeth is explored to check the quality of the current filling or to uncover any new cavity development. Over time, if any, damage occurs to the fillings, the dentist may replace it with the new ones. In order to check the calculus deposit, a pigtail tool is often used by the dentist. Some abnormalities in the mouth are not clearly visible with the naked eye. Therefore, dentist either takes bitewings or does a full-mouth X-ray. If the gums are healthy, then they adhere tightly to the teeth. Presence of any periodontal disease or significant bone loss may be doubted if gums are not attached tightly. A periodontal probing is usually performed by the dentist to measure the tooth circumference and strength of the supporting bone structure. The level of “gum adherence” to the teeth is measured (in millimeters) by inserting a calibrated probe between the teeth and the gums. The millimeter recording is used to detect any potential bone loss or periodontal disease. In severe cases, a periodontist may be consulted. Each of the tooth is cleaned with the help of scalers (scraping tools), curets (scoop-shaped instruments) or any other high-frequency ultrasonic scalers. The region beneath the gum as well as between the teeth are usually cleaned. The teeth are polished gently by the hygienist in order to ensure no disturbance to the enamel. The polishing is completed by using a mixture of baking soda and water or toothpaste. The last step in this procedure is fluoride treatment. Following the investigative stage, the dentist will discuss about the problematic issues, any worries and his conclusions. If high complications are observed, then an expert or specialist may also be consulted. In this visit, the entire treatment plan is explained to the patient. Most of the individuals, especially a smoker or a diabetic, are seen to be at a higher risk of periodontal disease. Such people are recommended for professional cleaning in every two or six months. This avoids the need for more invasive treatment options and prevents further damage or diseased condition. The brushing and flossing habits of the individual are properly analyzed by the hygienist. If the teeth in the front, behind and top are not properly cleaned and the surface is not polished, then gum recession, tooth sensitivity and enamel loss may become common. The formation of bacteria-causing-debris can be prevented by flossing between the teeth. The nutritional habits of an individual are an important part of oral hygiene. They are the base to provide support to teeth, bone structure and gums in the mouth. The hygienist carefully reviews various dental problems such as dry mouth, bad breath, tooth sensitivity and son on. Maintaining proper oral hygiene is the ultimate solution to preserve teeth for life-long. Many potentially harmful dental problems can be prevented with a healthy and beautiful smile. Keep a healthy smile forever.